If you've become a little tired of the 2D, left to right, auto-running platformer then we think you're going to find Mr. Crab an arresting proposition. This particular platforming game eschews scrolling screens in favor of rotating levels that twist upwards into the sky as you guide the crustacean hero himself to its very peak. You do this with careful screen taps and use of the environment itself. A soft press makes him leap a little, while holding it down extends the height and distance traveled. 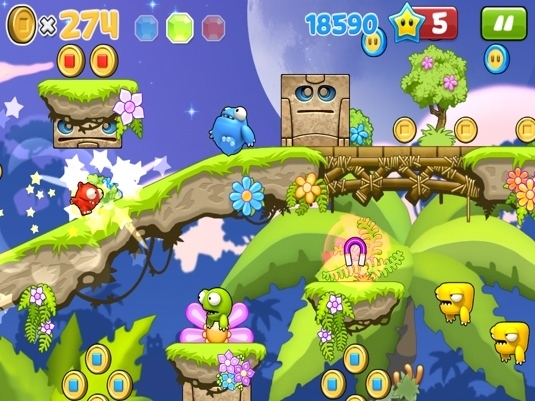 Jump into a wall, and a further press will cause him to ricochet off in the opposite direction, allowing him to navigate even the trickiest platform mazes. To really liven things up, if he runs into a wall he'll do a complete u-turn. Along the way you need to gather up his little crabby friends, jump to grab the bubbles littered all around the screen, and also avoid or bop off the heads of a colorful assortment of critters - a bad collision will cause you to drop down a complete of levels and repeat your work. 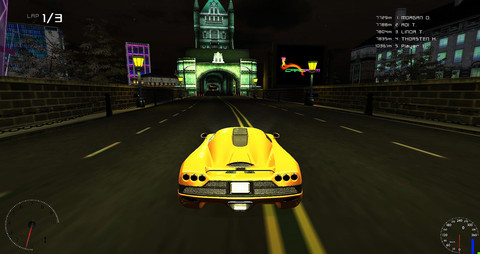 It's pretty good fun, although the rotating nature of the environment means there are moments of frustration when obscured obstacles send you plummeting down a little unfairly. Levels come in clumps of three and are based around a handful of themes from gentle seaside frolicking, to icy worlds - and each world is themed with its own creatures and obstacles. Boss battles also make an appearance from time to time, and while there's never anything more complicated to handle than making sure you bop off a boss's head cleanly a few times, it does add a necessary change of pace to gameplay that would otherwise become a little repetitive. Never mind that. Mr. Crab is not just a very competent game for the most part, it's also a refreshingly different take on the platforming genre - one that's long overdue. It's a colorful and often clever game - qualities that overshadow the game's handful of frustrations. What's Hot:A fresh new platformer with a twist and plenty of levels. What's Not:The core gameplay can come to feel a little repetitive after a while.